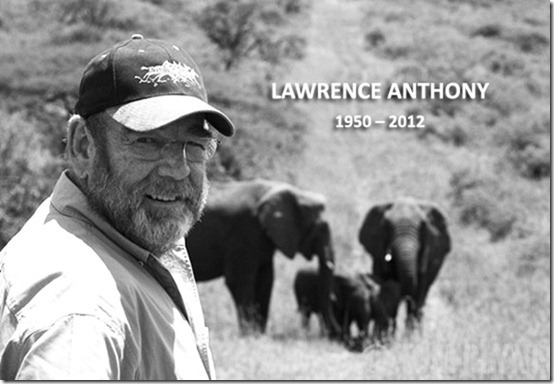 Here is something that will amaze you that animals can think and remember which human believe it is their domain.Lawrence Anthony a legendary conservationist of South Africa died on 7th March 2012. 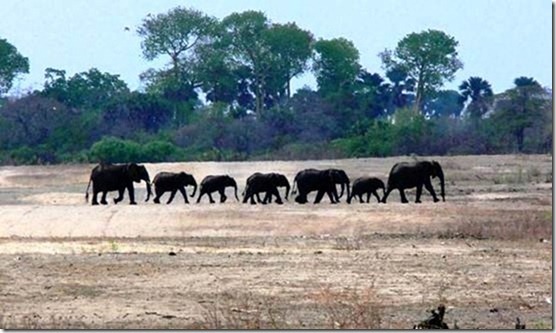 His grieving family told that right after three days, that is on 10th March wild elephants marched to his house. They sensed of his demise and came all the way from jungles to express condolences for the departed soul. Two separate procession were organized by wild elephant patriarchs in two groups. His family told of dignified, ceremonious, ceremonial, impressive, awe-inspiring, portentous, splendid, magnificent and formal two processions of twenty elephants on March 10 that defies human explanation’.He is remembered and missed by his wife, 2 sons, 2 grandsons and numerous elephants. 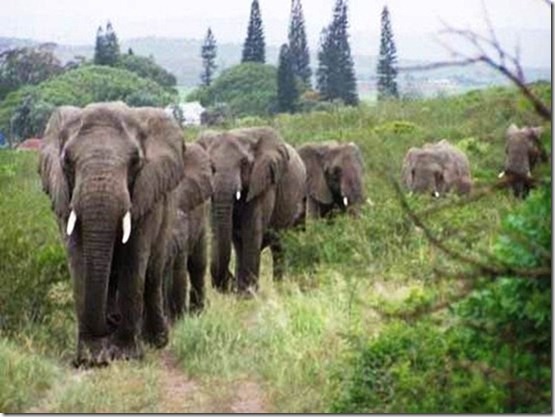 A total of 20 elephants had patiently walked over 12 miles to get to his South African house. Lawrence was a writer of 3 books with a best title of “The Elephant Whisper”. He is known for his successful efforts for rescuing wild elephants and rehabilitating all over the world from human cruelty including the courageous rescue of Baghdad Zoo animals during the US invasion in 2003. Witnessing this spectacle, many people were obviously in awe, not only because of the supreme intelligence and precise timing that these elephants sensed about Lawrence’s passing, but also because of the profound memory and emotion that the beloved animals evoked in such an organized way: Walking slowly – making their way in a solemn one-by-one queue from their habitat to his house.